Shares of Ashtead Group plc EPIC code: LON:AHT has increased 2.13% or 49 points in today’s trading session so far. Market buyers are a positive bunch during this period. The high for the period has peaked at 2354 and a low of 2311. The number of shares traded by this point in time totalled 614,988 with the daily average number around 1,982,352. The 52 week high for the share price is 2441 equating to 136 points different to the previous business close and a 52 week low sitting at 1542 which is a difference of 763 points. Ashtead Group plc now has a 20 SMA at 2360 and also a 50 day SMA of 2340.95. The market cap now stands at £11,768.64m at the time of this report. The currency for this stock is GBX. Market cap is measured in GBP. 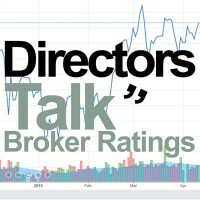 This article was written with the last trade for Ashtead Group plc being recorded at Monday, August 6, 2018 at 1:19:32 PM GMT with the stock price trading at 2354 GBX. Stock in Falanx Group Ltd with company EPIC: LON:FLX has increased 17.69% or 0.79 points during today’s session so far. Traders seem confident while the stock has been in play. Range high for the period has seen 5.25 dipping to 4.42. The total volume of shares traded by this point was 2,249,474 with the daily average traded share volume around 1,403,511. The 52 week high for the share price is 8.5 equating to 4.05 points difference from the previous close and the 52 week low at 0.05 a difference of some 4.4 points. Falanx Group Ltd has a 20 SMA of 4.34 and also a 50 day moving average now at 4.59. The market capitalisation is now £10.53m at the time of this report. Share price is traded in GBX. Mcap is measured in GBP. This article was written with the last trade for Falanx Group Ltd being recorded at Monday, August 6, 2018 at 1:19:13 PM GMT with the stock price trading at 5.24 GBX. 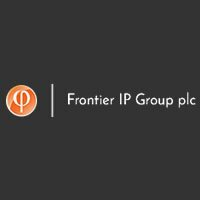 The share price for Frontier IP Group Plc with ticker code: LON:FIPP has increased 5.18% or 3.63 points throughout today’s trading session so far. Traders are a positive bunch throughout the trading session. The periods high figure was 74.5 while the low for the session was 72. The amount of shares exchanged has so far reached 137,787 with the average number of shares traded daily being 15,413. The 52 week high for the shares is 95.75 which comes in at 25.75 points in difference on the previous days close and a 52 week low being 45.5 making a difference of 24.5 points. Frontier IP Group Plc now has a 20 SMA at 71.51 and a 50 day SMA of 76.14. This puts the market capitalisation now at £22.27m at the time of this report. The currency for this stock is Great British pence.Market cap is measured in GBP. This article was written with the last trade for Frontier IP Group Plc being recorded at Monday, August 6, 2018 at 12:49:53 PM GMT with the stock price trading at 73.63 GBX. The stock price for GlaxoSmithKline plc with EPIC code: LON:GSK has stepped up 1.12% or 17.4 points during today’s session so far. Market buyers have remained positive throughout the trading session. The periods high figure was 1579.4 meanwhile the session low reached 1555. The total volume of shares exchanged so far has reached 1,897,392 with the daily average at 10,092,176. The stock 52 week high is 1597.8 which is 44.6 points difference from the previous close and the 52 week low at 1179.39 a difference of some 373.81 points. GlaxoSmithKline plc now has a 20 SMA of 1570.84 and a 50 day simple moving average now of 1554.22. The current market cap is £78,355.46m at the time of this report. The share price is in GBX. Mcap is measured in GBP. This article was written with the last trade for GlaxoSmithKline plc being recorded at Monday, August 6, 2018 at 1:19:28 PM GMT with the stock price trading at 1570.6 GBX. Click AHT FIPP FLX GSK for the full archive.